It doesn’t matter how advanced our self-driving cars get — if they aren’t allowed on roads, they aren’t going to save any lives. The future of autonomous vehicles (AVs) in the U.S. depends on how lawmakers in Washington D.C. choose to regulate the vehicles. But until now, AV testing has largely taken place far from the nation’s capital, mostly in California and Arizona. Ford is about to change that. The company just announced plans to be the first automaker to test its self-driving cars in the Distinct of Columbia — and how lawmakers feel about those vehicles could influence future AV legislation. 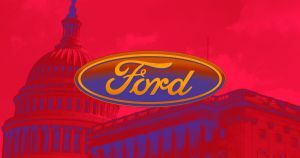 Sherif Marakby, CEO of Ford Autonomous Vehicles, announced the decision to begin testing in D.C. via a blog post last week. According to Marakby, Ford’s politician-friendly focus will be on figuring out how its AVs could promote job creation in the District. To that end, Ford plans to assess how AVs could increase mobility in D.C., thereby helping residents get to jobs that might otherwise be outside their reach, as well as train residents for future positions as AV technicians or operators. Marakby notes that D.C. is a particularly suitable location for this testing because the District is usually bustling with activity. The population increases significantly during the day as commuters arrive from the suburbs for work, while millions of people flock to D.C. each year for conferences or tourism. D.C. is also home to the people responsible for crafting and passing AV legislation. “[I]t’s important that lawmakers see self-driving vehicles with their own eyes as we keep pushing for legislation that governs their safe use across the country,” Marakby wrote. Ford’s ultimate goal is to launch a commercial AV service in D.C. in 2021. With this testing, the company has the opportunity to directly influence the people who could help it reach that goal — or oppose it.